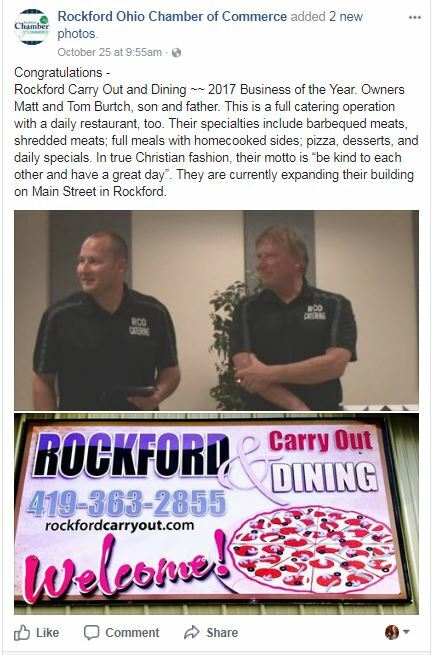 The Son/Father team of Matt and Tom Burtch purchased the Rockford Carry Out July 1, 2016. 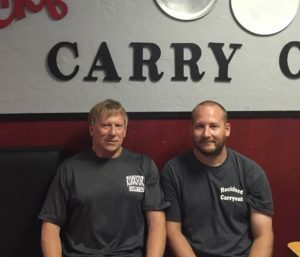 They brought years of experience in the food industry back to their hometown. The opportunity to give back to the Parkway system was one they couldn’t pass on. Both Matt and Tom are Parkway graduates and have a passion to see this system grow and prosper. The building at 156 S. Main was remodeled to create a relaxed environment. There is ample seating for meetings and gatherings or other functions. In addition to the dine-in capabilities, customers can also utilize the drive-thru feature. People can place orders in advance and drive-thru to pick up their orders. You can also purchase cold beer and wine at the drive-thru. The Burtch’s bring extensive catering experience to Rockford Carry Out (RCO for short). Wedding receptions, corporate events, family or class reunions, fundraisers, and graduation parties are all events they are comfortable with. Pizza dough is made from scratch daily and pizzas come in 4 sizes: 9”, 13”, 15”, and 18”. Their fresh, homemade dough, cheese blend, and plentiful toppings have resulted in many positive reviews. 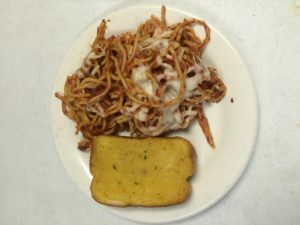 The food options are wide-ranging and include the very popular Daily Specials. The sandwich and sub menu has many choices as does the deep-fried sides. Several salad options are on the menu along with wraps. Both bone-in and boneless wings are very popular and many different sauce options are available. A lot of outdoor grilling is done on their 4 section charcoal pit. BBQ chicken halves are a specialty and the grill is used for many other items as well. The Burtch’s are looking forward to serving this community for many years and greatly appreciate your support!